We've received a document with details of the allegedly new flagship smartphone from LG Electronics. According to the slide, development is expected to complete in the first half of 2013 using an ARM Cortex A15 architecture that should have been licensed already. The new handset is expected to pack a quad core CPU clocked at 1.7 Ghz (28nm) and an ARM Mali T604 GPU. 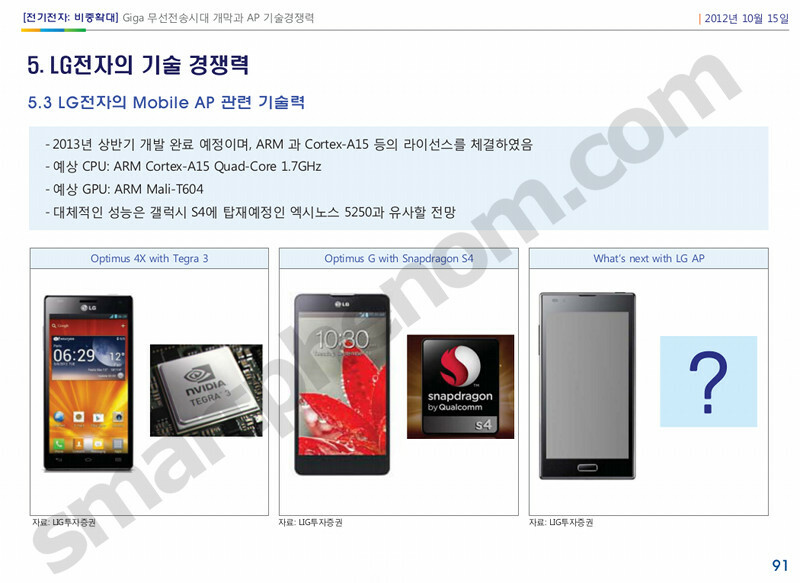 This might well be the successor of the LG Optimus G hinted at the document we leaked some days ago. It looks like LG doesn't want to waste the chance it has to become a big player in the smartphone arena.